A tightly plotted novel about a Japanese Policeman turned PI in Los Angeles who unravels a grim story of murders, and the destruction of lives. A transgender woman has been murdered on the train tracks near the city. She is Meredith Nichol and Kosuke feels bound to investigate because there are links to her in his own past. His investigation is well documented and makes fascinating reading. He builds up a dossier which suggests there have been other suspicious deaths which have not previously been linked. Suddenly the investigation catches fire and Kosuke puts himself into a position of great danger particularly when the trail leads to Mexico. Soon corruption, deaths and exploitation surround him. The contrast between the relatively straightforward level of painstaking digging into the sleazy underbelly of LA and the terror driven situation in Mexico and in the desert traversed by desperate immigrants is stark and prescient. 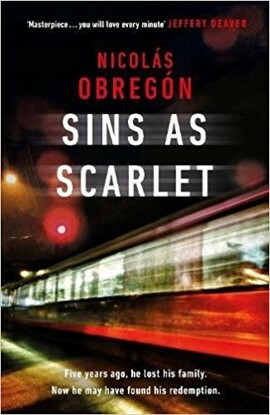 This is a chilling noir tale, written with elegance about a complex investigation by an outsider in the Philip Marlowe tradition, highly recommended for those looking for something ‘different’ from the crime fiction genre.